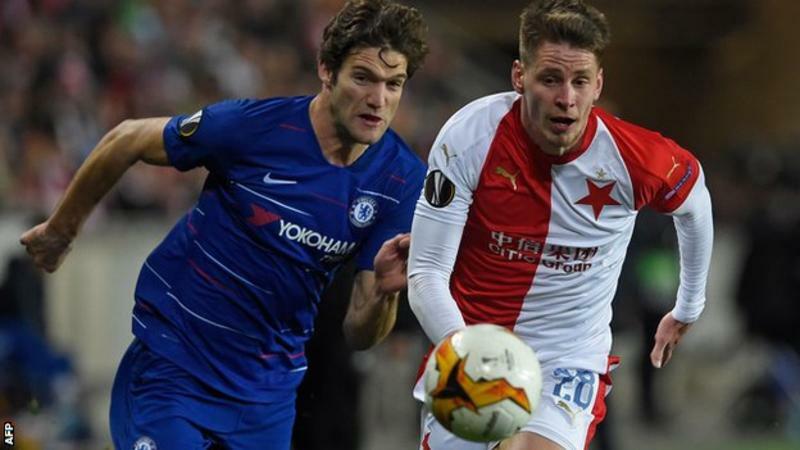 Chelsea left it late to secure a 1-0 win in their Europa League quarter-final first leg at Slavia Prague. Marcos Alonso timed his run perfectly to meet Willian's right-wing cross with a firm header four minutes from time in Prague. Maurizio Sarri's under-strength side struggled to find any rhythm for large spells but grew into the game after Eden Hazard was introduced off the bench just before the hour mark.